The odds are against him, but that’s nothing new. The NFL team in Washington has seven running backs vying for what will ultimately be four or five spots on the 53 man roster. Martez Carter from Grambling is one of those running backs. The first week of minicamp is underway and Carter has already experienced a rookie adventure. He missed some reps on the second day of training camp after his shoe got mutilated after a play. He didn’t have another shoe and had to watch the rest of practice. “At that point, you just take mental reps, so if you get in on that play and Coach calls that same play, you’ll pretty much be schooled on it,” Carter told the Washington Post. While the shoe was something beyond Carter’s control he has done a great job with first impressions. When camp opened up on Thursday, “Mr. Excitement” was the very first player onto the field. 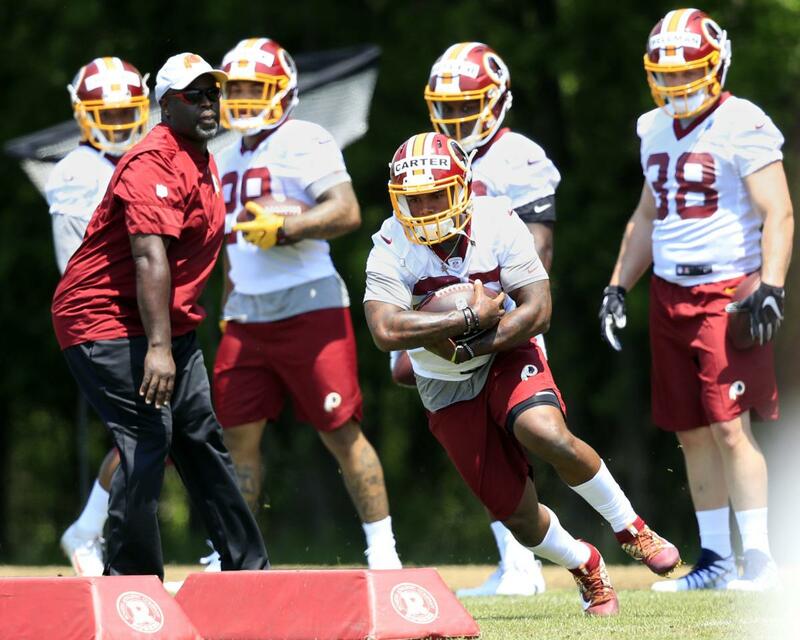 Starting running back Chris Thompson is returning this season from an injury just as Kelley is, so there’s a lot of unknowns at the top of the depth chart. Washington averaged just 90.5 rushing yards per game last season, 28th in the league. There are some conversations around pundit circles that compare Carter to Tarik Cohen from the Chicago Bears. Both are sub-6-foot speedsters who are HBCU products. Cohen played at North Carolina A&T, in case you missed that. If Carter were to make the Washington roster and contribute at a Tarik Cohen level, it would certainly be a win. Cohen picked up 723 yards from scrimmage with three touchdowns in 2017. The day to watch for is September 1, which is the date that every NFL team must get down to its 53 man roster.